Candied Walnut Pear Salad! I just can’t get enough. Although this salad is super simple and only requires a few key ingredients, I think it’s so beautiful and quite refreshing. I used living lettuce for this recipe. 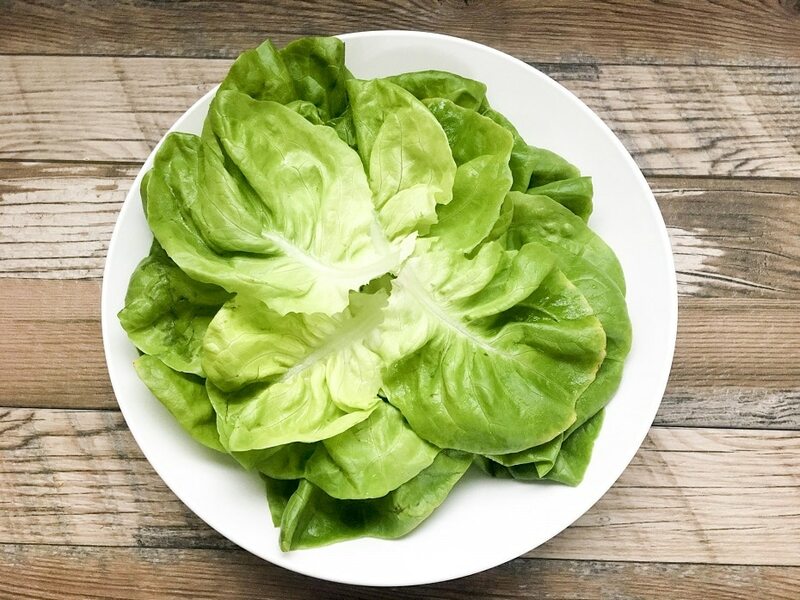 The leaves of living lettuce sets this salad apart from other lettuce. 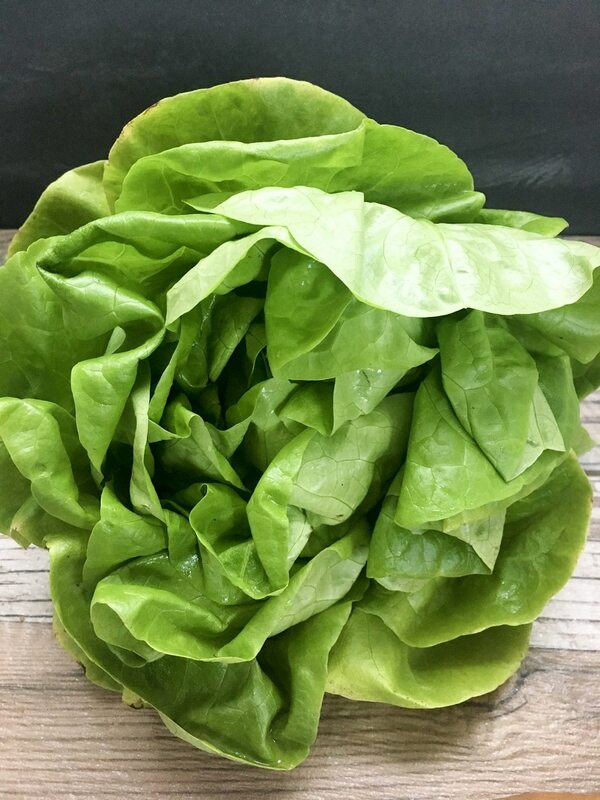 I’ve been a fan of romaine lettuce for many years and still am but there’s something special about living lettuce not only are the leaves fancier but they are loose, tender, and sweet tasting. The leaves are delicate and are perfect for lettuce wraps. One of the key benefits of living lettuce compared to other lettuce is that the roots are still intact allowing moisture and nutrients to flow. It also stays fresh much longer. Do you or have you thought about purchasing a head of living lettuce? Honestly, in the past, I couldn’t justify spending twice as much for living lettuce when I could purchase romaine lettuce for half the price. That seems pretty reasonable – right? Well, that all changed a few months ago when I decided to try a head of living lettuce, and ‘Oh-Em-Gee’ I was instantly hooked. 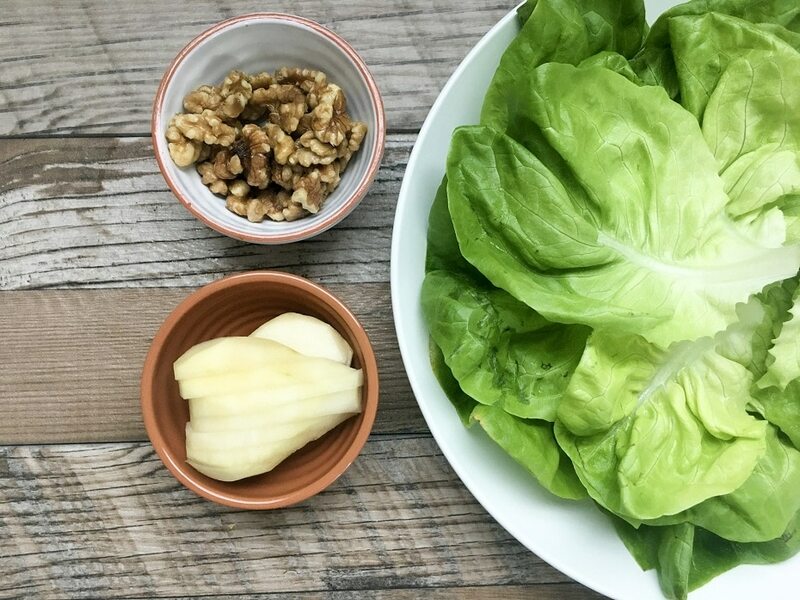 Maybe it’s just me but I find that with this lettuce, a little bit of salad dressing goes a long way and a light vinaigrette dressing is best which is why it’s perfect for this Candied Walnut Pear Salad. 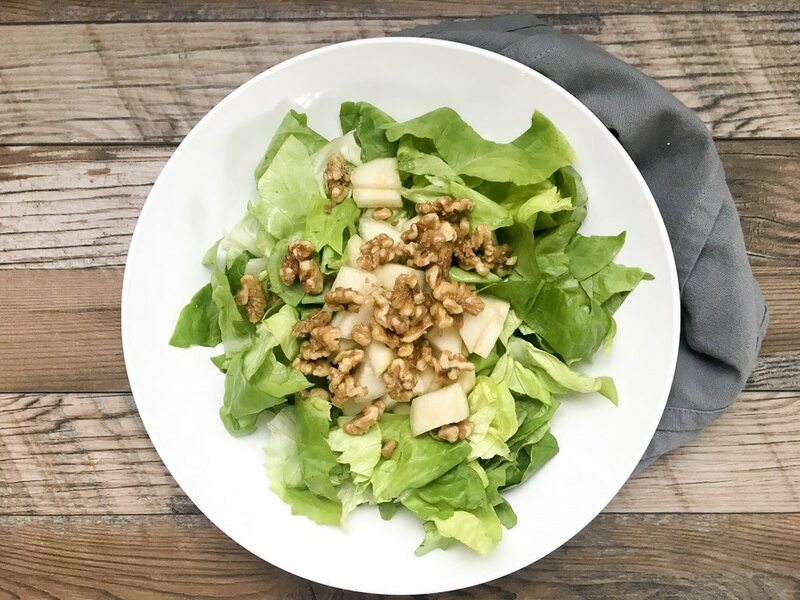 I love candied walnuts for its texture, crunch, and slight sweetness, and the combination of the sweet tasting pears and tender leaves make this my new go-to salad. It’s perfect as a light lunch or as a healthy side dish. Tonight, we will enjoy the crisp and refreshing taste of this wonderful Candied Walnut Pear Salad tossed in a light vinaigrette. I prepared it this afternoon and stored it in the fridge until later. Although I didn’t drizzle the salad with the vinaigrette for the photos… that I will definitely do right before serving. I can’t wait. By the way, I’ll provide the ingredients to the simple vinaigrette down below. 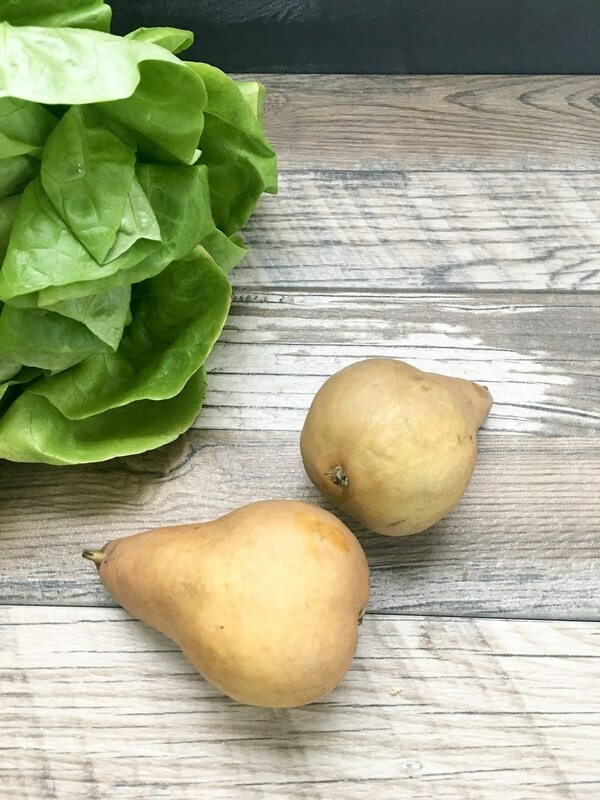 This simple Candied Walnut Pear Salad is simple yet elegant. It's sweet and savory flavor provides the best of both worlds to satisfy your craving. Wash lettuce thoroughly and dry in a salad spinner and roughly chop. Set aside. Slice pears. Set aside. In a small saute pan, over medium heat combine walnuts, butter and brown sugar and stir until butter is melted and all ingredients are incorporated. Continue to heat walnuts for 3 to 4 minutes and let cool. 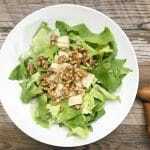 In a salad bowl, add chopped lettuce, sliced pears and walnuts. Drizzle with vinaigrette or salad dressing of your choice and lightly toss. Plate and garnish with remaining walnuts and pears. Note: I removed the skin from the pear, but it's not necessary.